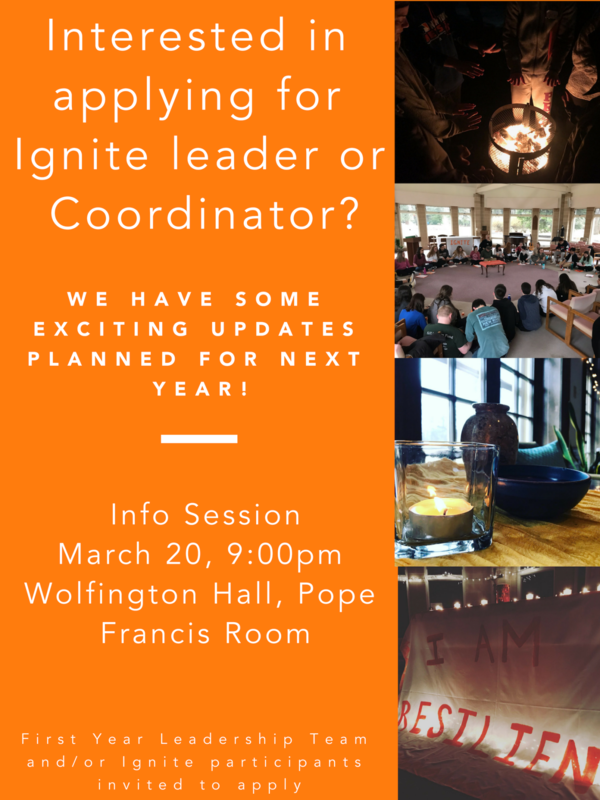 Ignite invites freshmen to reflect upon their transition into college life. Led by a team of fellow students, participants take part in activities and conversations that help them to discover how God calls each of us to a fuller and deeper way to live. This off-campus weekend includes student talks, small groups, prayer, reflection, meals and fun! The cost is $60. Email: Tinamarie for information on financial scholarship assistance.